Australian architecture firm, Wilson Architects have been awarded a $19 million contract to design the Miri City Hall in Sarawak, Malaysia. Property developers Perdana ParkCity Sdn Bhd approached Wilson Architects to participate in a limited design competition for the new City Hall in their Marina ParkCity development. Wilson Architects was one of three foreign practices invited to submit a proposal in a design competition in the landmark master-planned township sprawling across 550 acres. 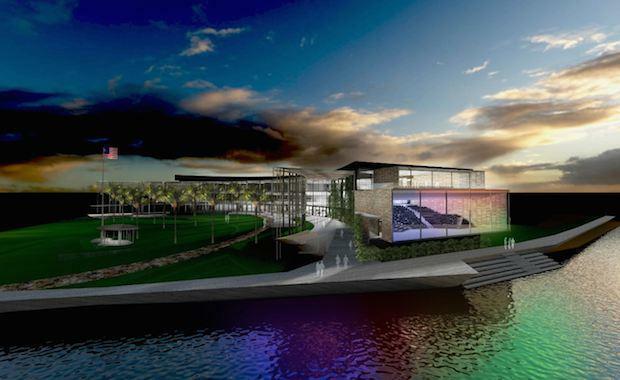 The Miri City Hall project brief called for the design of an iconic community structure that interconnects with the surrounding food villages, parkland and beach frontage of the South China Sea, a design that best reflects the progressive 21st century Miri without disrupting the city's cultural links to the past. The City Hall will be a public place enterprise on a 1.2 hectare allotment and will have a government centre, meeting rooms, cafeteria and a spacious auditorium. Miri is the second largest city in Sarawak on the island of Borneo in Malaysia, with a population of 350,000.